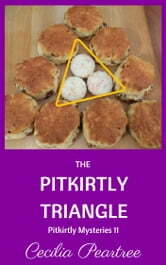 The Pitkirtly Triangle is the 11th novel in the Pitkirtly Mystery series, set in a small town on the coast of Fife, in Scotland. Amaryllis is puzzled when the people she has been hired to track keep vanishing without trace. 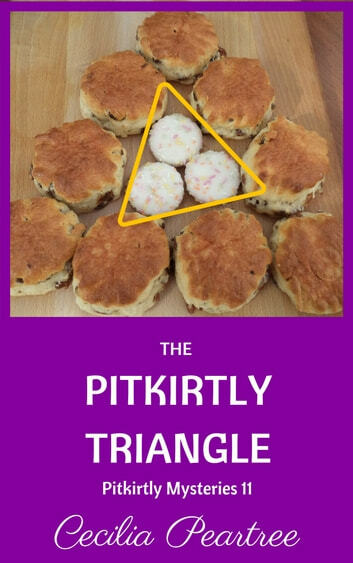 Is there a connection with the new café at the top of the hill and the increase in Empire biscuit consumption in the locality? Meanwhile Christopher manages to lose a very important donation to the Cultural Centre, Jock McLean gets on the wrong side of a garage owner and Jan from the wool shop panics about whether certain herbs are culinary or not. Everything becomes more complicated just as Amaryllis is put out of action for the first time in her life by the onset of a nasty cold virus.